Four years ago, two men saw the need for the homeless to have what they saw as a basic human right: cleanliness. So they created a laundry service out of a van. Now, their efforts have gone international. 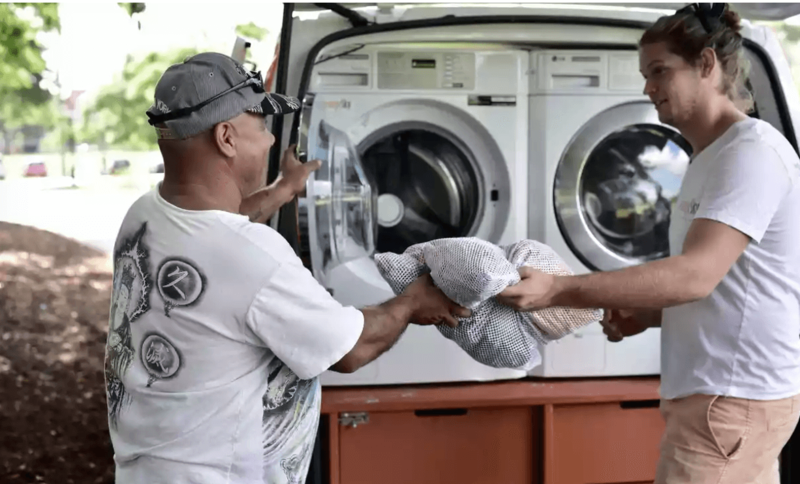 "We strongly believed that access to hygiene was a basic human right,” says Lucas Patchett, co-founder of Orange Sky, the service that provides showers and clean laundry out of the comfort of their van. With more than 100,000 homeless Australians, they saw the need for hygiene on a deeper level. “Ninety-nine percent of the day, these people are walked past and ignored and not even looked at, and that can have a huge impact on psyche and sense of self-worth. So we just say g’day and offer something really practical that makes people immediately feel more confident to engage with the broader society,” Patchett explained. 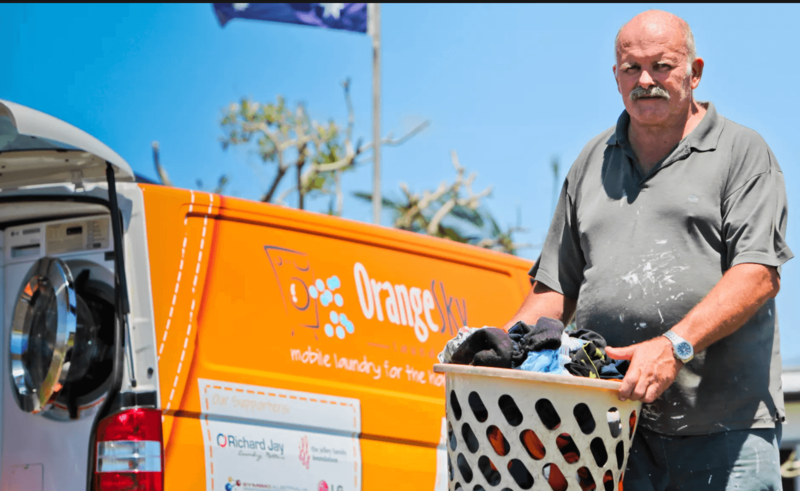 There are currently 27 Orange Sky laundry and shower vans in Australia. Last month, Orange Sky went global, opening their first truck in Auckland. They plan to go to the United States next. There are various mobile laundry services around the world just like Orange Sky. “I think it’s a good concept … and it has a roll-on effect. Your clothes are clean, you’re clean and you feel good about yourself,” said Mike, one of Orange Sky's first clients. Orange Sky has given hundreds of thousands of people not only the services they need, but the self confidence and the comfort of being clean. A better way to give. Save 10% or more with Givebutter's all-in-one free fundraising platform for events, crowdfunding, dues, and donations. Get Good News in your inbox every week. Oops! Something went wrong while submitting the form. You may already be subscribed. We'll send you free stickers just for signing up!